Two plays coming to area campuses this week and next have starkly different, but equally pessimistic takes on life and death. 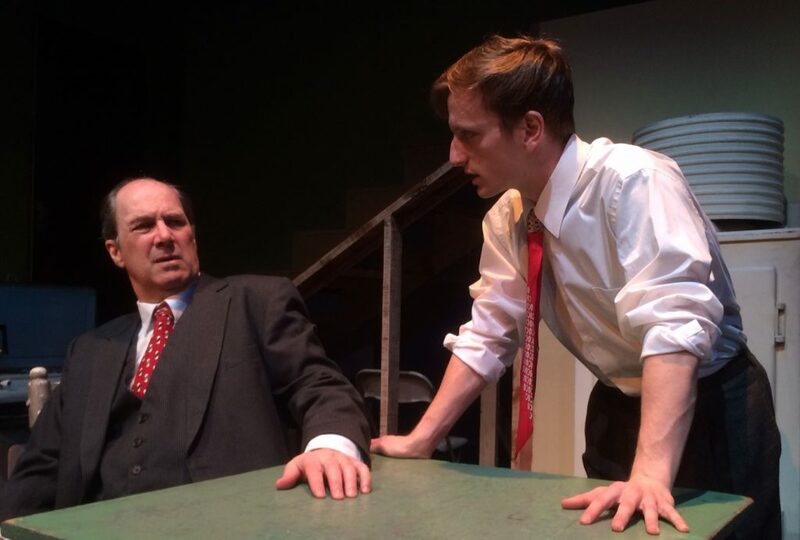 Death of a Salesman, at Springfield College, finds tragedy in an ordinary life, while The Tattooed Man Tells All, at Smith College, draws tragic lessons from viciously extraordinary conditions. Arthur Miller’s Death of a Salesman is perhaps the classic American tragedy. 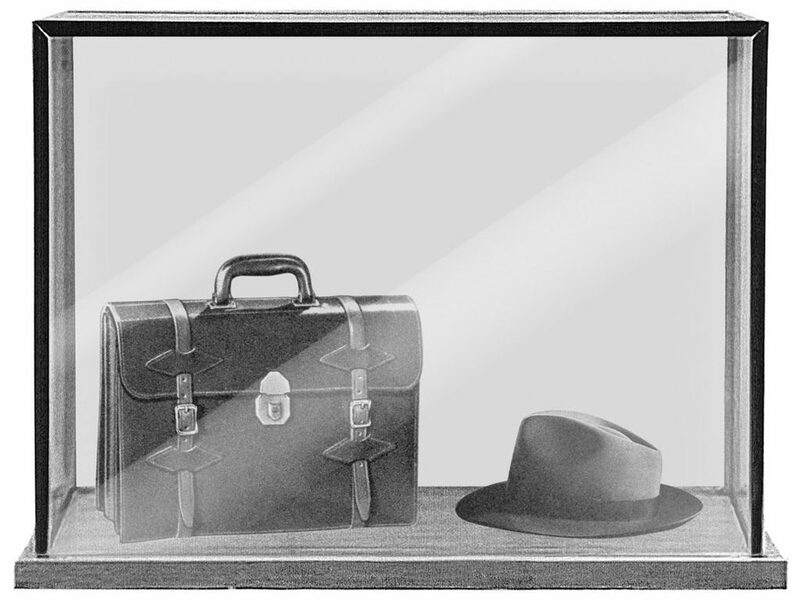 Winner of the 1949 Pulitzer Prize and Tony Award for drama, it encapsulates the last hours in the life of Willy Loman, a traveling salesman whose dogged optimism and sense of being “well-liked” are crumbling. Its tightly wound arc is half memory play, half present-time careen toward disaster. This weekend’s production at Springfield College is directed by Martin Shell, who also, in an unusual step, takes the stage as Willy. He is the one-man head of the college’s non-degree theater program, which mounts two productions each year. This choice of script wasn’t his, he told me, but that of senior Tyler Cronin, an Exercise Science major who has acted in nearly all of Shell’s productions since his freshman year. “Tyler has done a remarkable job of bridging the gap between athletics and theater, or you might say, demonstrating their connections in physical discipline, commitment, and passion.” Salesman is his favorite play. “I try to choose plays to stretch and develop those students who show an interest in returning to do more productions, casting them in roles that will challenge their abilities and draw out new acting potentials,” Shell said. 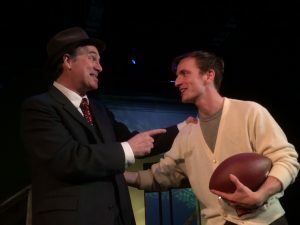 “Since Death of a Salesman is a play I also love, Tyler and I tried some readings of scenes as Willy and [Willy’s restless son] Biff, and decided to give it a go.” The cast is a mix of student and community actors. April 11-13 at 7:30, April 14 at 2, Fuller Arts Center, Springfield College. By donation, $2-$5. Next Tuesday at Smith College, there’s a free-admission one-night revival of a one-act premiered a year ago by Silverthorne Theater. 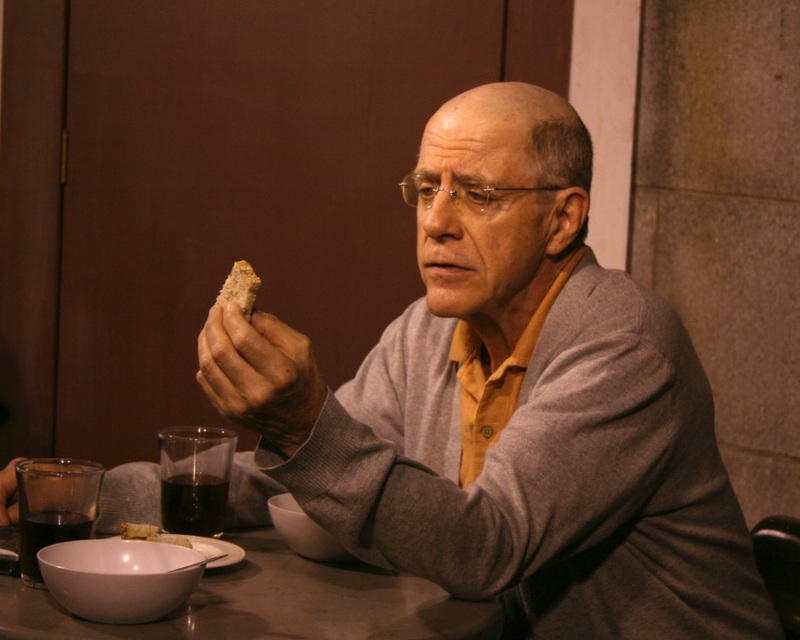 Directed by Smith College theater professor Ellen Kaplan and performed by Valley veteran Keith Langsdale, The Tattooed Man Tells All is a tale of survival in the most devastating of circumstances. As I said in my preview of last year’s production, you might think from the title that the show is a memoir of life on the carnival circuit. It’s anything but. This man’s tat is a five-digit number that was etched into his forearm in the Auschwitz concentration camp. Peter Wortsman’s one-man, two-character play is woven from interviews the author conducted with Holocaust survivors in Vienna in the 1970s. 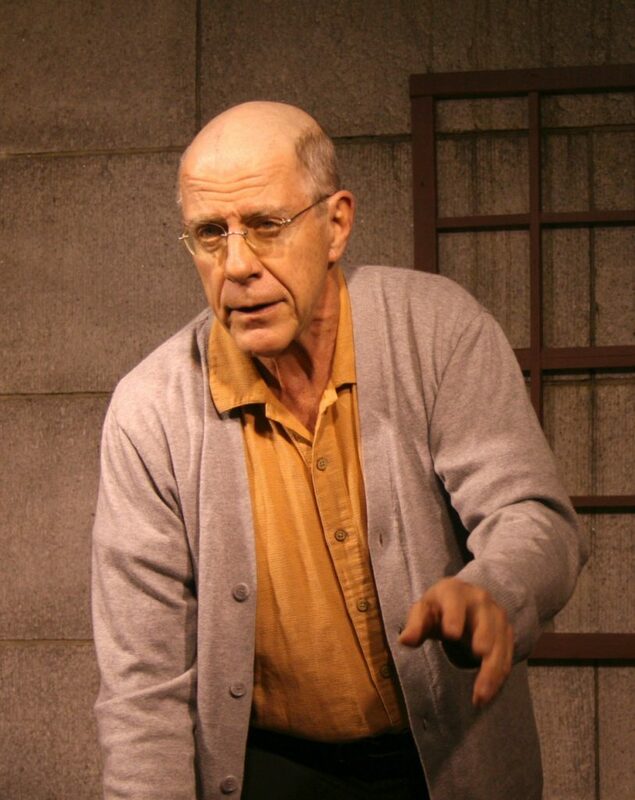 The Old Man, as he’s simply called, is a whimsical fellow who politely offers tea to an unseen guest while recounting the horrors he lived through – and some that he perpetrated. The Old Man has kept his old zebra-striped camp uniform, a grisly reminder that becomes a prop in his tale, taking on a life of its own as it stands in for his younger self while he takes the role of his Nazi tormentor. In these days when real-life horrors and recurring violence seem almost normal, The Tattooed Man Tells All is a tonic for that dangerous acceptance. April 16, 7:30, Mendenhall Center for the Performing Arts, Smith College. Free.